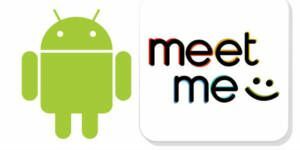 Meet me is popular dating chat application on Android and sometimes you can’t send messages via application. We are going to give you information on how to fix message problem on MeetMe app. Actually it’s very easy to do, if you still have problem with the application after we tell you steps on here, you will need to send an e-mail for support to developers or you can still review the plugin for getting response from developers. There are several ways to contact to MeetMe staff. We will also tell you how to contact to developers on How to Chat Online. It will be quite easy for you. If you are having this problem after you made an update, please click here to learn how to remove recent updates from your device. 1-) Firstly go to your application manager. 2-) Select MeetMe from application list. 3-) Clear all data and cache. 4-) Then touch on uninstall updates. If you are not having this problem because of recent updates try clear all data and cache, restart your phone and login at MeetMe app again. Otherwise we recommend you to reinstall the application. I tried messaging someone but she couldn’t see my messages on private. While trying to message her publicly I was blocked. Please what can be done. Please my I was kicked off from my account, I can’t log in again please what should I do. I was chatting with New girl called peaches bloom I actually by mistake blocked her. I want to unblock her now plz asap!